I fell in love with making ice creams way back on one of my first trips to Canada. My father-in-law who is usually the inspiration for most of the ice creams on this blog, has a really old Donvier that he pulled out one year, and made an absolute smashing lime sorbet. Can you say hooked? Well, yeah. 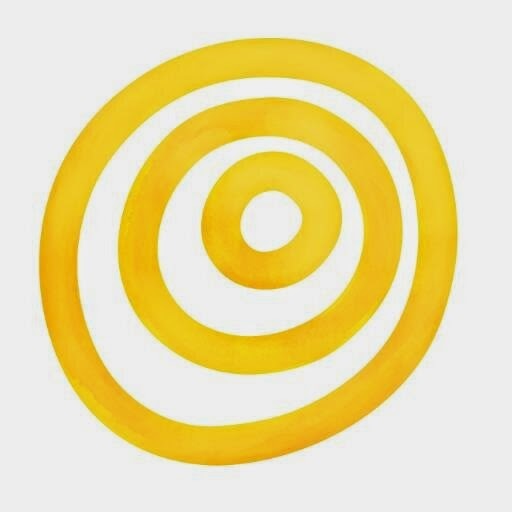 Hooked. Ever since then, one of my dreams on moving back to Canada has been to get my very own ice cream machine... and no sooner did I land in Edmonton, than I got myself my very own ice cream machine. And once I had it, I don't think I've ever bought ice cream again. Because, and you have to trust me on this one, there is nothing quite like homemade ice cream. Especially as a summer's hurrah! 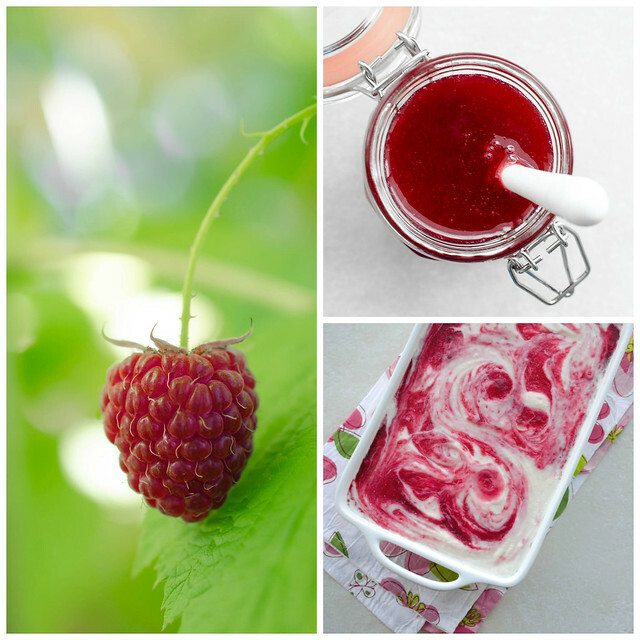 Unless... its homemade ice cream made with homegrown fruit. Then as FIL and I were musing away, we realised that mother-in-law had a lot of raspberries. 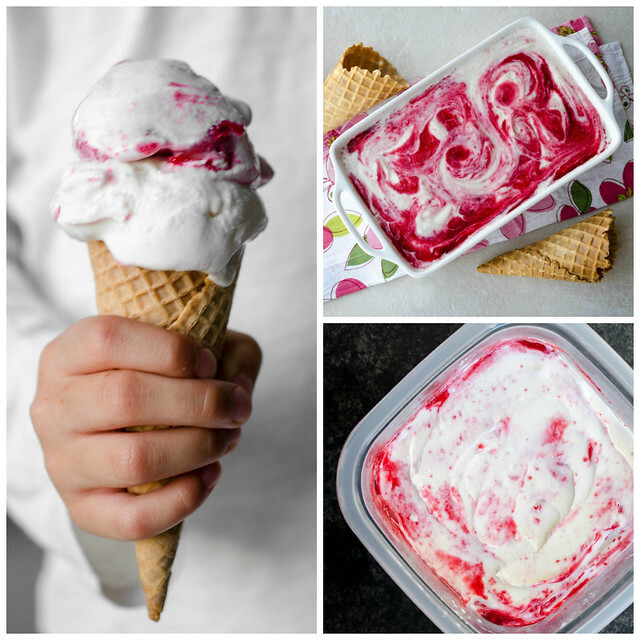 So we decided that we needed to make that seventies classic, the raspberry ripple ice cream. The ice cream was so good, I knew that I had to blog it. So when I got home, I was absolutely delighted to find that our two year old raspberry canes had also started producing, and I was out like a shot, picking all the ripe fruit. I had quite a lot of raspberries left over, even after my fruit bat child had more than her fair share. I made a lot of ripple syrup, which I also use for raspberry lemonade, and as the ice cream is so easy, its been a regular fixture at my home this summer. And once you eat it, you'll know why. This is probably hands down the best ice cream I've had for a while. Even Kay, who isn't really an ice cream fan, told me that this was one of the best ones I've made... and it must be true, because I've had to make over three batches in the last two weeks, and every time I go to take a picture, I find minimal ice cream in the freezer. Neither FIL nor I wanted to spend time making a custard based ice cream... which we felt would be too rich anyway. So the base is light and creamy and veritably foolproof, as there are no eggs involved. And both the base and the ripple syrup can be made the day before and chilled overnight, before churning. This ice cream, therefore, is light yet creamy, fresh and tangy and oh-so refreshing. The taste is out of this world and for me, this is truly the unbeatable taste of summer. I can't wait for next year and for my fresh raspberries again. Whisk together all the ingredients for the ice cream ( including the vanilla pod) in a bowl, which is set over a pot of barely simmering water (you can use a double boiler). Stir until the sugar dissolves and the cream is beginning to steam around the edges. Don't let it boil. Take off the heat and chill until cold. Leave the vanilla pod in it. 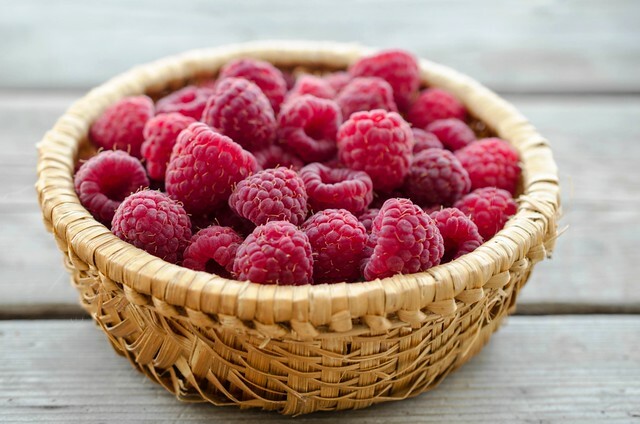 To make the raspberry ripple, place the raspberries, sugar and lemon juice in the upper part of a double boiler (or in a heatproof bowl over simmering water). Cook, stirring often until the raspberries burst and release their juices and the sugar dissolves. It takes me about 5 - 7 minutes. Strain through a fine sieve, pressing the mixture through a few times, until you have extracted all the pulpy syrup, without the pips. Chill, until cold. Once the ice cream mixture is cold, take out the vanilla pod, and reserve for another use. Churn the mixture in an ice cream maker, until creamy. Take a freezer safe container, and place about a third of the churned ice cream in the bottom. Pour over a third of the ripple mixture. Gently, ladle another layer of ice cream, then another layer of raspberry ripple. Top with the ice cream, cover and freeze the container overnight, if possible, but at least for four hours. You will have a third of the raspberry sauce left over, and its delicious just poured over a serving of ice cream. This ice cream will set hard in the freezer, so remove 3 - 5 minutes before serving, to let it soften up a little. While scooping out ice cream, try and get down to the bottom of the container to get a rippled effect. This is what usually happens when I take ice cream pictures... my natives have no patience. 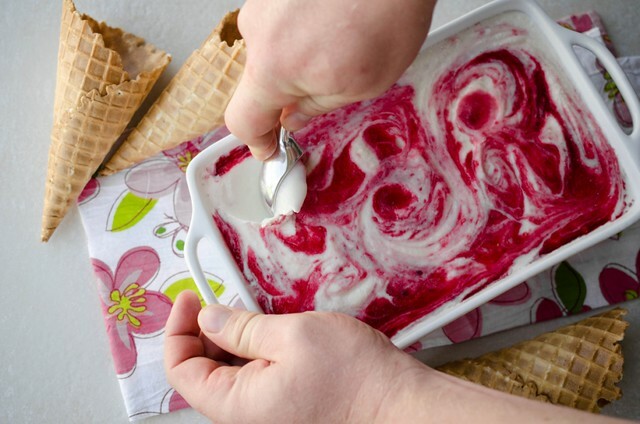 The Raspberry ripples look awesome on the creamy smooth ice-crm....it can't get any fresher or more inviting than this!!! Much as I love other berries - and I've enjoyed some fine berries this summer - raspberries are always the berry that I look forward to most. This sounds like ice cream heaven to me. Raspberries are my absolute favorite fruit, but I don't think I've ever had them in ice cream! 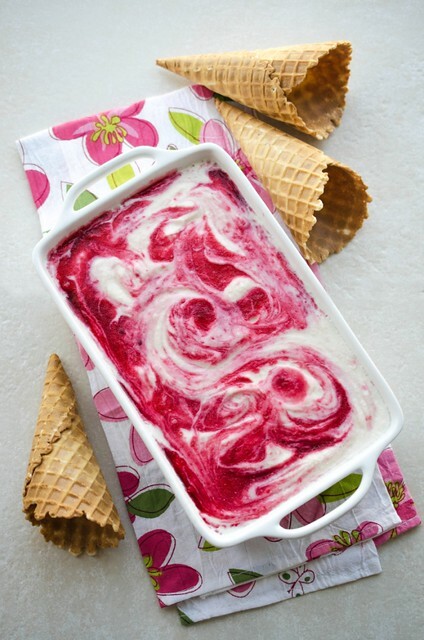 I've been a little ice cream obsessed lately and will have to try this recipe!